Matthew originally hails from the great state of Maine and has spent time living in both Cape Breton, Nova Scotia and Cork, Ireland honing his traditional fiddling style. 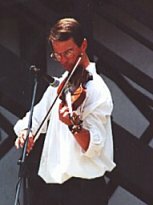 Matthew is well known in the Berks county region of Pennsylvania as a fiddle champion as well as playing the tenor banjo and mandolin. In Beyond the Pale Matt's experience shows through, whether playing a haunting melodic line behind an original ballad or an all out Irish reel. A gifted composer, Matt is currently working to publish a collection of his original compositions many of which are performed by the band. 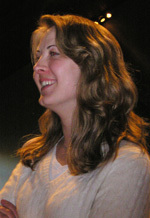 Allison's love for Celtic music was kindled when she was a young Irish dancer. Originally from the Washington D.C. area, she now resides in Pennsylvania with her husband and three children. A talented songwriter and performer Allison joined Beyond the Pale bringing her writing, angelic vocals, flute and Irish whistle. 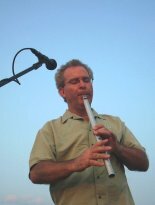 Terry has been performing Celtic Music for over 12 years with numerous bands and choral groups in the southeastern Pennsylvania area, playing Tin Whistle, Accordion, and Electronic Bagpipes and bringing his strong vocals and harmonies to all his performances. "This music has such history and passion, and you find yourself easily caught up in the emotion that plays out with each song..." quotes Terry regarding the music that he feels runs through his soul. His passion is evident in each of his performances, and sharing this passion with his audience is his fondest desire. 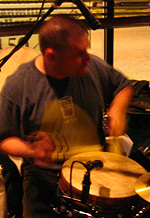 Steve is the founding member of BTP. An avid singer/songwriter and recording artist who has been involved in many different projects over the years. 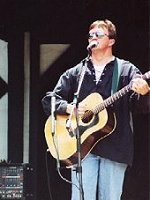 Having gained proficiency in many different styles on the guitar, Steve was inspired by his visits back to Ireland (especially the relations in Co. Donegal) and transfers his love of Celtic and Acoustic music to his original compositions featured in Beyond the Pale. 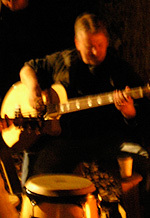 A native of State College, Pennsylvania, Chris plays bass and sings for Beyond the Pale. Chris's love for music began at age four, when during a hospital stay, his father played for him tapes of classical music to help pass the time. Since then, he has studied woodwinds and percussion, but made guitar and bass his main instrument at age 12. Chris is used to sitting on the other side of the mixing board as well, having worked in both Los Angeles and Nashville area studios with everyone from Winger to George Duke to Brad Paisley. His musical tastes are about as diverse as well. Chris is a graduate Nashville's Belmont University, and is known to cook Minute Rice in just under 9 minutes. Kevin gave up a promising career in brain surgery to play drums with Beyond the Pale. He has a gentle caring spirit which is, in no way whatsoever, reflected in his playing. His style has been likened to an angry two year old banging on a saucepan with a wooden spoon. He is a firm believer that he will never get rich playing Celtic music...he's only in it for the beer.